Director Michael Almereyda’s thrilling new film adaptation of the strange and semi-obscure Shakespeare play Cymbeline begins with three words on the screen- “Keep Your Head”. It’s the name of the production company and a reference to the eventual demise of one of the characters (a brutal death that, because Cymbeline is all over the place tonally, leads to some wacky mistaken identity hijinks) but it’s also the seemingly small piece of advice that nearly every character in the film could desperately use. Cymbeline is a story of hotheads- highly emotional, ridiculously defensive people whose irrational reactions drive them off cliffs before cooler heads can prevail. Almereyda leans into this by replacing the original play’s kings and emperors with gang lords and dirty cops, allowing the pressure of law-breaking and the lure of a strong drug culture to further fuel the thoughtless danger. Cymbeline allows Britain to be invaded because he doesn’t feel like paying his tribute to Rome, a plot point that becomes a raid in the absence of a bribe in the film version. Imogen abruptly marries her father’s protégé Posthumus and her rashness is rewarded with her father’s epic overreaction in banishing her husband (the story removed from its original period, Cymbeline’s succession excuse holds even less water). When the skeevy Iachimo bets a banished Posthumus that Imogen is cheating, iPhone photos make his case more credible but Posthumus needs little prompting to jump all the way to giving instructions to his lackey Pisanio that Imogen should be murdered for her infidelity. No plan is ever thought out, no assumption questioned, no head is kept. It’s lunacy but Almereyda makes the lunacy of Shakepseare’s text work by setting it in a surreal modern world where the laws of reason are disregarded right alongside those of the state. As fans of the director’s bold and underrated 2000 Hamlet already know, Almereyda has little regard for anyone else’s Shakespeare rules (his Hamlet lives in a world where Hamlet exists- WHAT?!). This is perhaps most glaring in his casting choices, picking unexpected actors who feel right (or strange but fascinating, like John Leguizamo as Pisanio) rather than looking specifically for classical training or Shakespeare experience. Sometimes the language suffers for this (Dakota Johnson is no Romola Garai and we’re just going to have to deal with that) but I’m pretty convinced American cinema needed Ed Harris in a leather jacket saying things like “thou art poison to my blood” with that famous Ed Harris straight face. 50 Shades of Grey star Johnson’s inescapable sexuality allows her to play Imogen’s total faithfulness without compromising the (albeit unfair) root of Posthumus’ insecure jealousy while Gossip Girl’s Penn Badgley’s babyface and nervous energy give his Posthumus a restless in-over-his-head quality that make him an intriguing underdog in the alpha male biker gang setting. 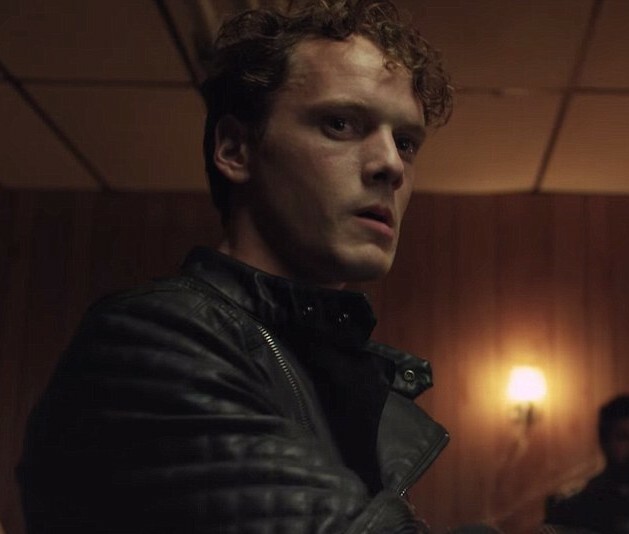 Anton Yelchin contrasts him perfectly as Cloten (a character often double cast with Posthumus), those same underdog qualities manifesting themselves in simmering rage and resentment-fuelled misogyny rather than Posthumus’ self-deprecation and desperation to prove himself. Early on, Yelchin presents as Johnson’s pestering stepbrother, brushed aside in favour of the man whom he so clearly parallels (Cymbeline’s protégé vs. his stepson). As the story moves along, Yelchin and Almereyda brilliantly use the usually dumb-jock-ish Cloten to tap into the dangerous contemporary phenomenon of sexual entitlement and self-righteous misogyny among men who feel overlooked by women (a particular epidemic in “nerd” subculture- exemplified by events like Gamergate and systematic objectification in the cosplay community– accessed effectively through Yelchin’s Star Trek and Terminator cred). It’s thoughtful insights like this that make Almereyda’s flashily modern adaptations more of a useful exercise than, say, Baz Luhrmann’s far more famous standalone R+J which cleverly updates but doesn’t manage to say much about either its classical text or its contemporary setting (“love and hate transcend time” maybe? I don’t know). On the less thematically consequential but damn clever side of things, the doctor from whom the evil Queen procures her potions is actually a vet in Almereyda’s version, a fun little twist indicated with just some simple set decoration that serves to flesh out the underwritten Queen (a vampy villain played by Milla Jovovich, obviously) and further define the dangerous world of Cymbeline’s biker gang (everything off the books, the assumption is that this sort of “side business” would be regularly used by the gang to sew up bullet holes, etc). The punishments doled out to Leguizamo’s noble Pisanio include being locked in a cage, a harsh reminder of the sort of torture one isn’t protected from when they live outside of the law. 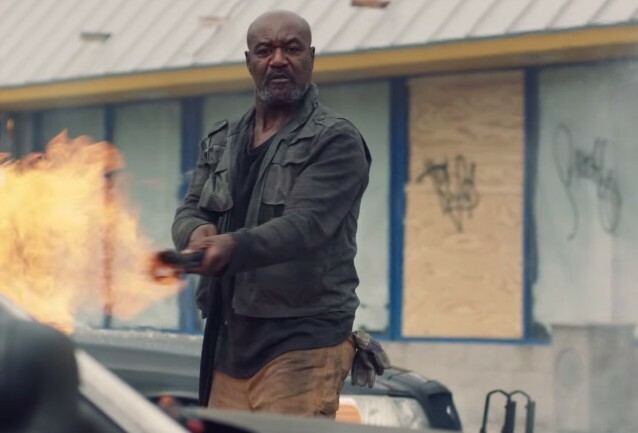 Belarius (Delroy Lindo) and his “stolen” sons Philario (James Ransone) and Guiderius (Spencer Treat Clark), rather than cave-dwellers, are survivalists living carefully off the grid to avoid the far-reaching grasp of the gang they fled from and the government that is the enemy of their enemy but still not their friend. 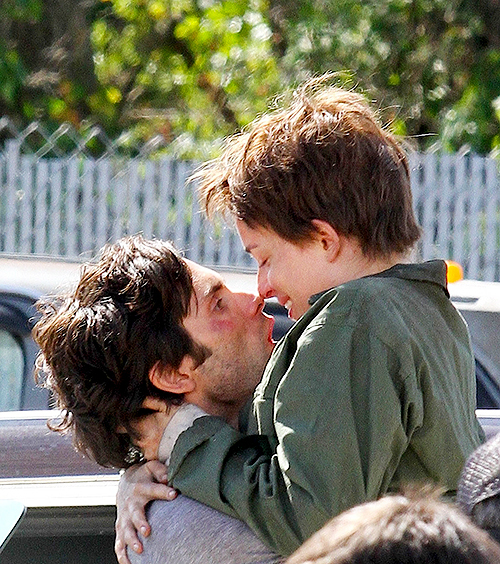 Cymbeline is a wacky play but it almost makes more sense than ever before in Almereyda’s fearlessly brash new setting. The god Jupiter, thankfully, doesn’t make his usual appearance but there’s certainly room for the ghost of the dead father Posthumus will never live up to (a great piece of casting I’ll leave as a surprise). Even the outlandish fidelity test- the plot point least easily adaptable to a modern setting- works because Ethan Hawke is such an enthrallingly manipulative Iachimo (it’s hard to go wrong with Ethan Hawke). Kurt Sutter always said that Sons of Anarchy was a Hamlet story at heart; maybe there’s something inherently Shakespearean about biker gangs, or maybe there’s something inherently biker gang-esque about Shakespeare? 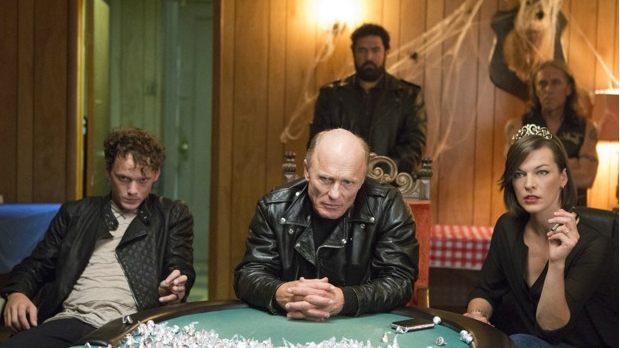 Either way, through Almereyda’s crazy biker gang, Cymbeline finally makes sense.